At the 2017 Detroit Auto Show, Volvo introduced a new member of the 90-Series family. 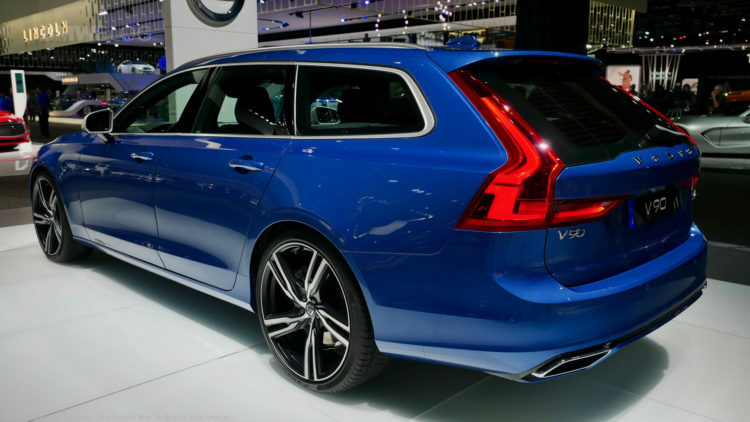 The V90 Wagon will arrive this summer and will be sold alongside the S90 sedan, XC90 SUV and the V90 Cross Country. The 2018 V90 will be sold in the U.S. only as a custom-order vehicle, meaning Volvo dealerships won’t keep the V90 in stock. 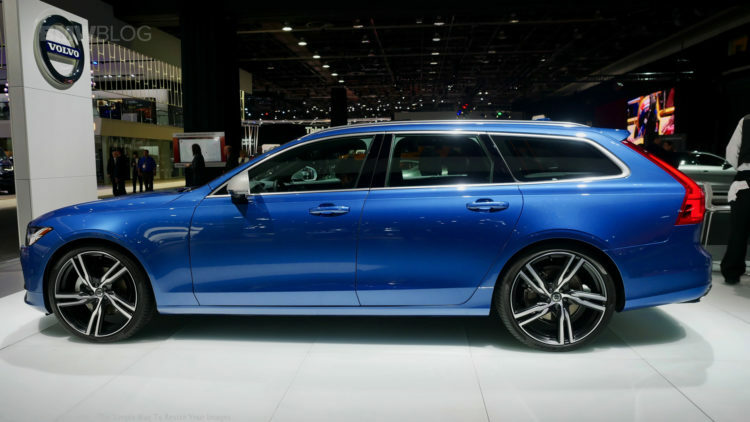 The only way to buy a V90 in America, then, is to go either through Volvo’s online concierge service or its overseas delivery program. 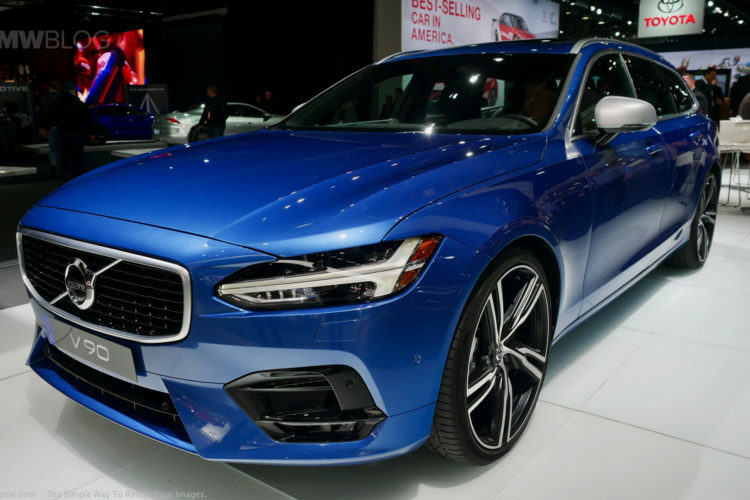 The model introduced in Detroit is the R-Design version painted in Bursting Blue Metallic and includes a new five-spoke wheel design, tasteful body kit, and slightly different front grille. Its gorgeous interior gains plenty of silver trim, an R-Design steering wheel, and sport seats. It also features a sportier ride, thanks to a a slightly lower ride height and stiffer suspension tuning to go along with the sportier look. The T6 AWD model displayed in Detroit is powered by a turbocharged and supercharged 2.0-liter four-cylinder making 316 horsepower. 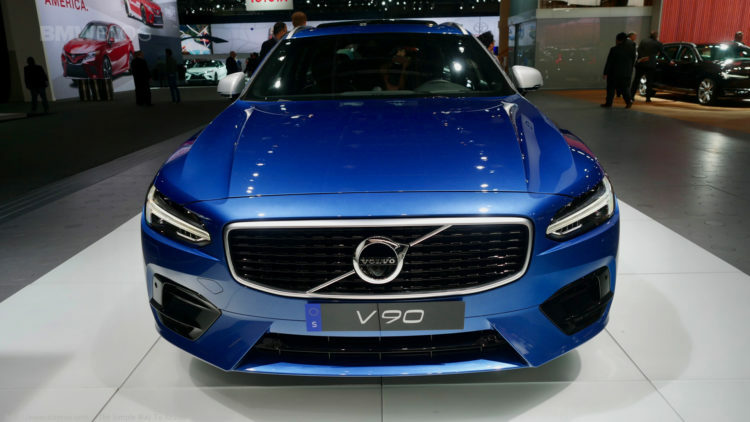 Volvo says it will soon begin taking orders for the V90, with deliveries starting in the summer.